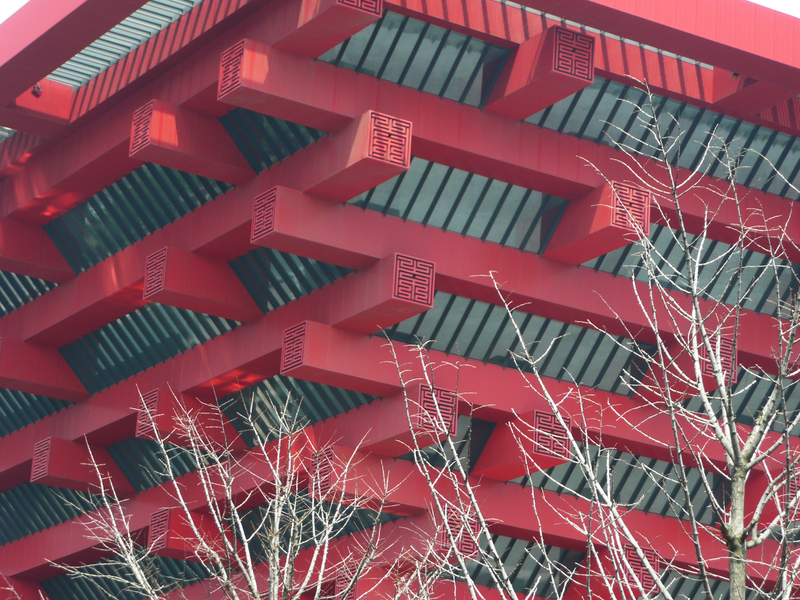 I don’t know who reads this blog, besides my friends and family, but if there are any foreign residents of Shanghai or prospective visitors, this may be of interest to you. I’ve recently had two friends and my parents visiting and, with the lovely weather and warm temperatures back, I’ve started venturing around town again and beyond. This post and the next ones are about the places I’ve been to but also provide useful advice as to how not to waste your time. 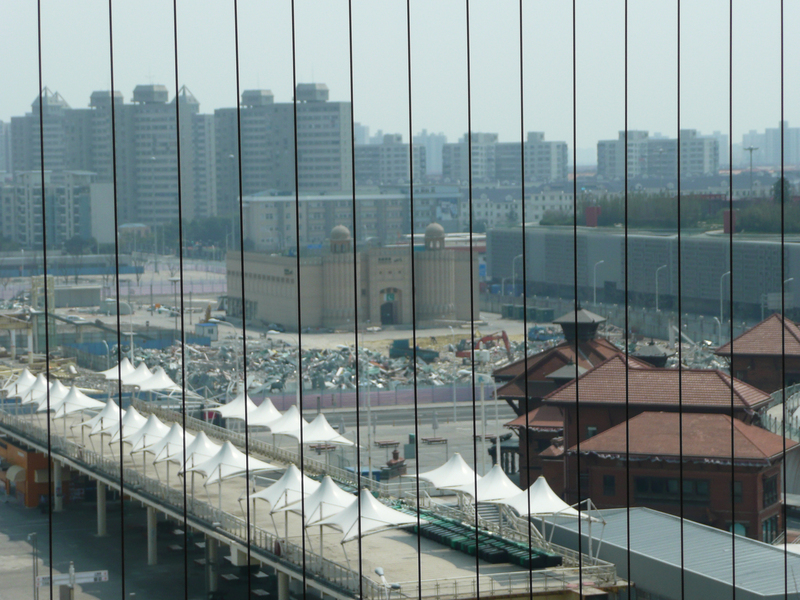 Here’s my advice: if you don’t want to waste your time, do not go to the Shanghai 2010 World Exhibition Site (or Shibo Gōngyuan, i.e. park in Chinese). Really do not bother. Although I was very eager to see it, I felt a little bit suspicious about the whole expedition when I couldn’t find any clear information on the net or in any guidebooks about the site, what is still out there, if it is open to the public or freely accessible. 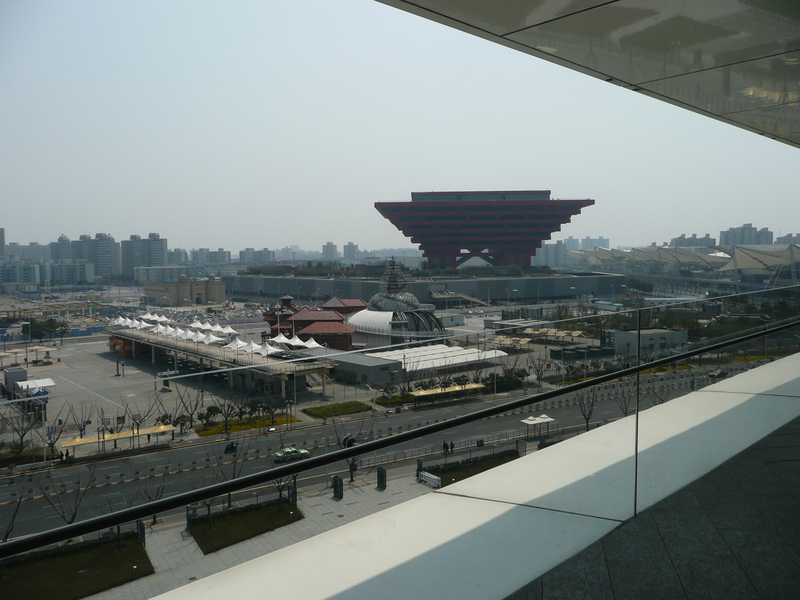 To answer, to the exception of the China Pavilion – which is a beautiful and impressive building but one you can’t visit unless there is some event taking place- there’s the “Expo Axis” (also not accessible) and the rest is largely a wasteland. 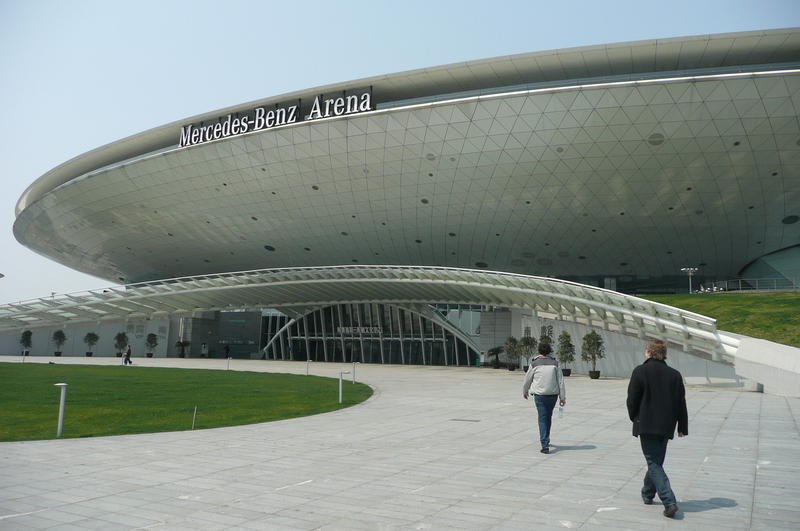 You have to walk a lot with a few other stranded tourists and equally stranded souvenir sellers only to end up in the “Mercedes-Benz Arena” mall, containing an ice rink, a few restaurants and a cinema but largely empty on a Monday morning. 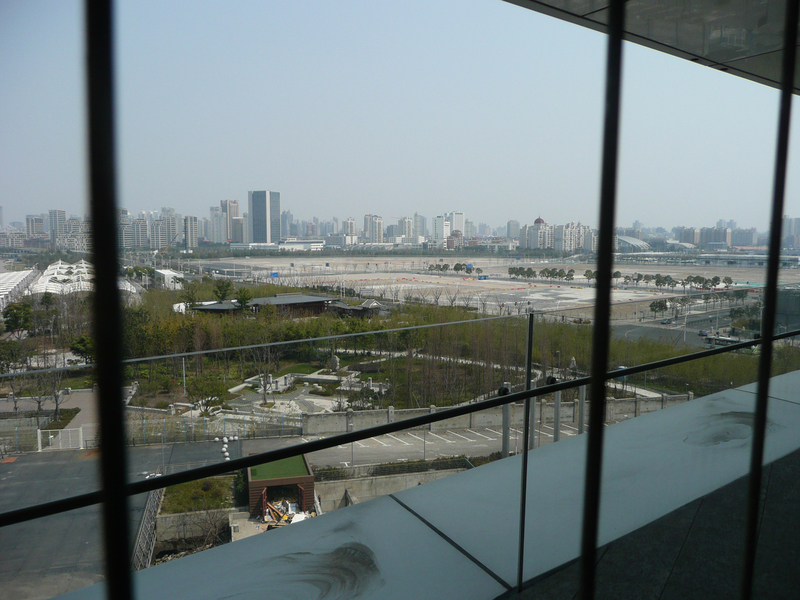 It does however offer a 360 degree viewing platform on the 6th floor, which confirms that there is not much to see in spite of our perseverance. Amongst the few still erect structures are: the apparently much spoken about and quite popular Saudi Arabia Pavilion known as the Moon Boat (I personally failed to see the interest of this building from outside at least) and the non-descript Qatar Pavilion and another Saudi building. 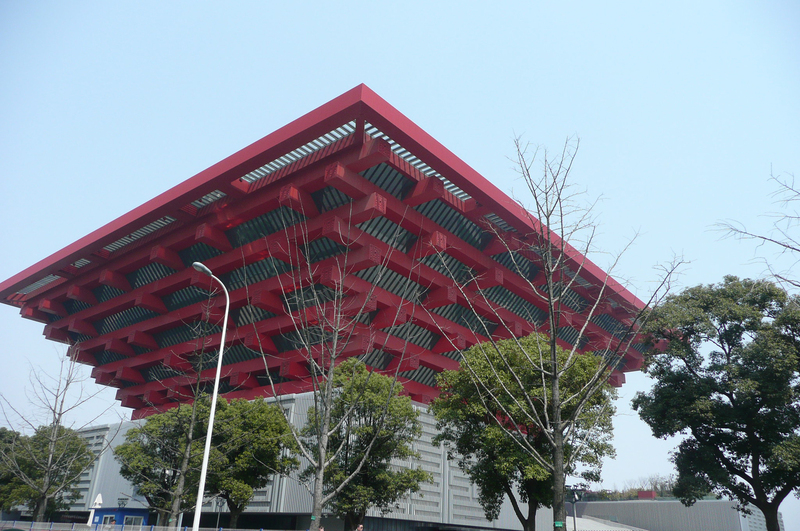 After telling our disappointment to a friend and long resident of Shanghai, he told us that he thought the Expo was disappointing when it was ongoing and all the pavilions were above ground. However what he found quite good is the side event about cities. As you may know the theme of the Exhibition was “Better city, better life” and there were mini-pavilions about cities and how they are working towards improving the quality of urban life through design, transport, green spaces, sustainability, etc. 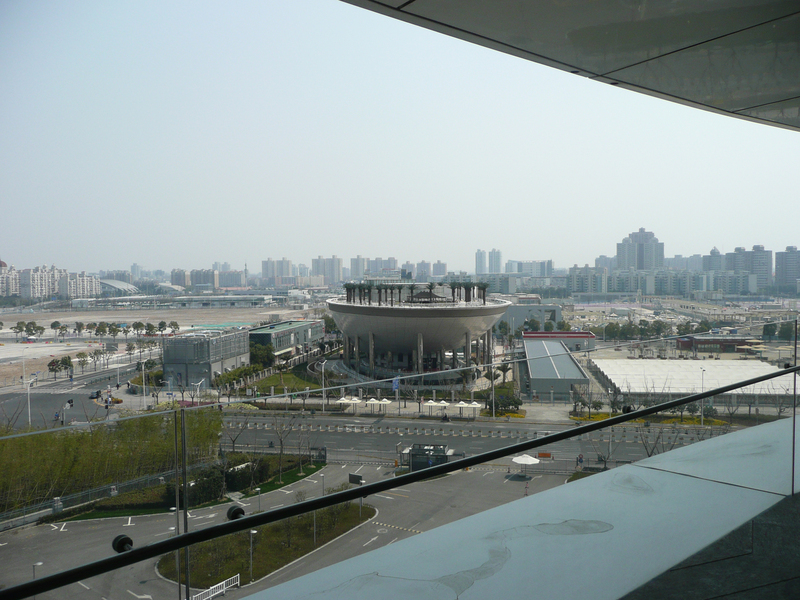 I don’t know what are the plans for the Expo site, but that’s certainly some food for thought… You can still visit some of those pavilions. 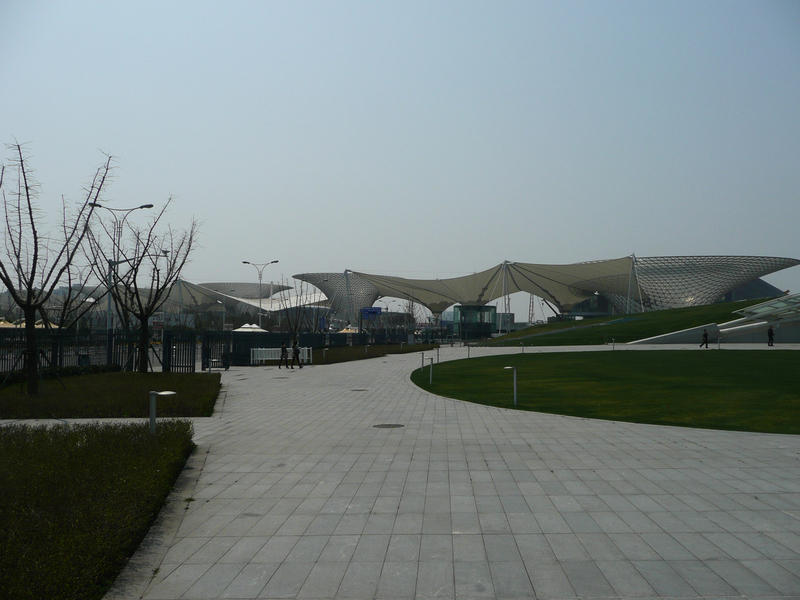 They are located across the Expo site, in Puxi. I haven’t been yet and as for the main site, I can’t find any clear information. I will go at some point and hopefully it won’t be a waste of time.